The U.S. Government is fairly strict regarding grants to small private businesses. There are grants available, but they are reserved for non-profits, charities, economically-depressed zones, companies performing scientific research and governmental recipients. 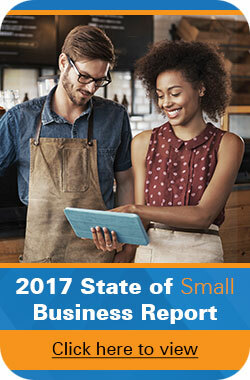 However, the good news is that small businesses that benefit low- and moderate-income individuals or produce scientifically innovative products have a very decent chance of securing grant money from such agencies as the Department of Housing and Urban Development and the Small Business Administration. The information hub for U.S. Government grants is Grants.Gov. The website emphasizes that federal grants are not benefits or entitlements, but are used for an approved public purpose of support or stimulation. They are not meant to assist individuals and cannot be used by the government to acquire property or services. For non-profits, educational organizations, and governmental entities, the list of grant programs contains over 1000 entries from 26 different federal agencies. There are 21 grant categories, ranging from agriculture to transportation. Grants.Gov provides an efficient search facility for finding grants by agency or category. For instance, minority non-profit or public sector businesses using the search facility will quickly locate the Minority Business Development Agency, which will help eligible parties identify and package grant requests. Grants.Gov features an online grant application system. Interested parties must first download a grant application package, fill it out online, submit the completed package, and then track the status of the application on a special web page. A narrated tutorial is available to explain each of these steps in detail. While HUD’s focus is to promote affordable housing to low- and moderate-income people, the department also administers the Community Development Block Grant Program (CDBG) to provide communities with resources that can be used for a variety of needs. Over 1200 state and local entitlement communities receive block grants each year under this program. For a block grant request to be successful, the distributed funds must be targeted at activities that help low- and moderate-income persons. A partial list of such activities includes slum clearance, property rehabilitation and remediation of conditions that threaten the health or welfare of a community. Eligible grantees are major cities, other metropolitan areas with a population of at least 50,000, and urban counties with at least 200,000 residents. Small business that engage in property rehabilitation, slum demolition, construction of public utilities such as water and sewer facilities, public services, energy conservation and renewal and other job-creating activities within an entitlement community are eligible for block grant money. To receive grants, communities must develop consolidated plans, hold public hearings and ensure submitted plans have goals that are congruent with those of HUD. At least 70 percent of funding must benefit low- and moderate-income community residents, and any activity at odds with the National Affordable Housing Act is forbidden. Another HUD program, the Community Renewal Initiative, distributes $11 billion annually in special tax incentives to businesses of all sizes that are situated in empowerment zones and renewal communities. Entrepreneurs can qualify for these tax breaks by hiring local residents and/or. starting or expanding local businesses. Tax incentives include a suspension of capital gains tax, employment credits, higher deductions on equipment and specially-accelerated depreciation of real property. The HUD Address Locator each month describes the location of all the zones and communities eligible for HUD tax incentives. Interested parties are referred to IRS Publication 954 and the HUD website for further information on these programs. There are two programs, the Small Business Innovation Research Program and the Small Business Technology Transfer Program, that engage in scientific research and development. Both programs seek to encourage small firms to meet federal R&D goals and fund work that is likely to lead to commercial initiatives. The two programs are funded by a number of federal agencies. A roundup of information about specific programs and eligibility requirements is available from the website of the Small Business Administration (SBA), whose Office of Technology administers both programs. The SBIR program spans 11 federal departments. Its goal is to encourage small, high-tech businesses that foster scientific innovation despite the inherent riskiness of these types of projects. In 2010, the program allocated contracts or grants totaling 2.5 percent, or well over $100 million, of the scientific research budgets of all federal agencies. Total research funds dispensed by the program exceeded $1 billion. Eligible companies must have no more than 500 employees. Firms with 25 or fewer employees received over half of the SBIR awards in 2010, and a third had fewer than ten employees. Minority or women-owned business received 20 percent of the grant money. The SBIR program uses a phased approach to funding. Businesses in Phase I, or startup, receive grants up to $100,000 over a half-year to help prove the feasibility of firms’ success potential. Phase II, the R&D phase, can see grants increase up to $750,000 for up to two years. The SBIR program does not fund Phase III, the market rollout phase, so companies must line up commercial funding or find non-SBIR programs. The SBA manages a Commercialization Matching System to help SBIR awardees find sources of funding for Phase III projects. The SBTT Program also attempts to expand partnerships between the private and public sectors involved in research. Its goal is to move innovation from the lab to the marketplace. In 2010 it handed out over $100 million in grants. It too follows a three-phase model of project development and funds only the first two phases. Five federal departments, including Defense, Energy and the National Science Foundation, fund the SBTT Program.